ST. LOUIS, Mo. 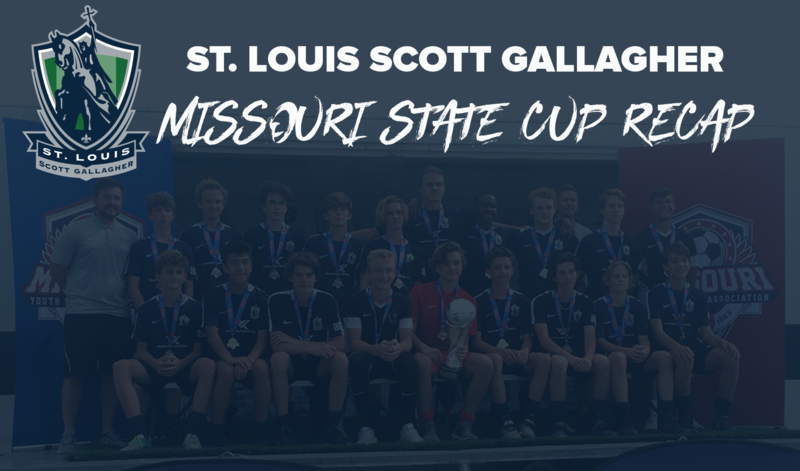 – For the first time in St. Louis Scott Gallagher club history, every age group for the Missouri Boys Division advanced to Regionals or Nationals. The SLSG MO Boys claimed 5 Missouri State Cup Championships this past Saturday at Creve Coeur Park Soccer Complex with the U13, U14, U15, U17, U19 Boys all taking home trophies. The U13, U14, U15, U17, U19 teams will now head to the Midwest Regional Championships at the Grand Park Sports Complex in Westfield, Indiana. The tournament begins with round-robin play from June 22-24 and the Finals on June 27. The teams will be playing for a berth at the US Club National Championships in Frisco, Texas, beginning in late July.